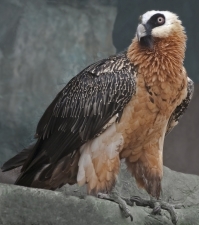 The critically endangered Bearded Vulture. 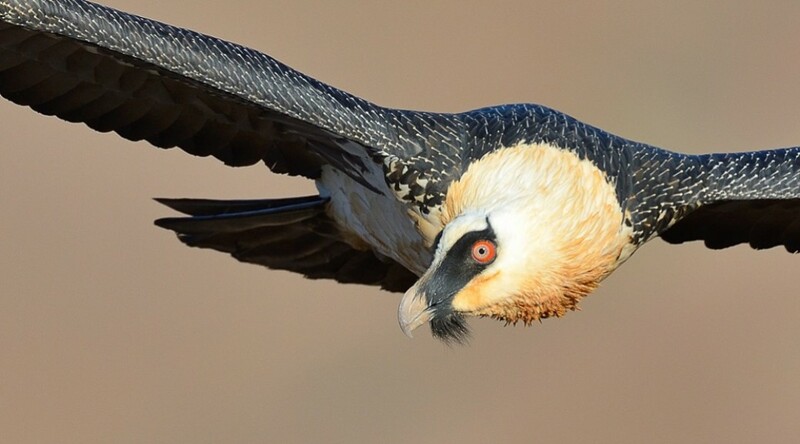 The urgent need to mitigate the risk of extinction of the highly threatened Bearded Vulture species in South Africa, has led to various initiatives by conservationists to safe-guard existing vulture populations. These attempts include the construction and management of Bearded Vulture hides to create safe feeding areas, provide greater public awareness of the threats they face; and to conduct essential research into the species. Bearded Vulture populations are fast declining. They are now being considered as a critically endangered species in South Africa, Lesotho and Swaziland and will be listed as such in the International Union for Conservation of Nature Red List of Threatened Bird Species which will be published later this year. Only about 400 individual Bearded Vultures and 100 breeding pairs remain in the wild in South Africa and Lesotho. This bird species is particularly vulnerable due to threats posed by poisoning, power line electrocutions, wind farms and traditional medicine. Despite having core breeding areas in the Maloti Drakensberg Park World Heritage site, Bearded Vultures’ ranges often extend beyond the boundaries of the Park, where they face significant threats. The effects of the ongoing threats have been highlighted by the Maloti-Drakensberg Vulture Project. 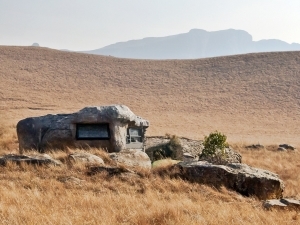 The Vulture Hide near Giant’s Castle in the Maloti Drakensberg Park has been modelled on the local rocks and blends in beautifully with its surrounds. Of the 25 Bearded Vultures fitted with satellite transmitters over the last six years, 10 have been killed – either in power line collisions or by poisoning. 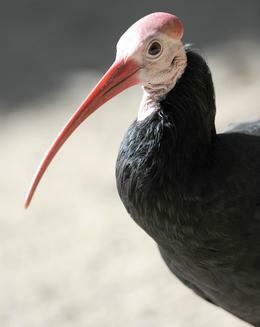 This translates to 40% of the birds originally included in this project having been lost. 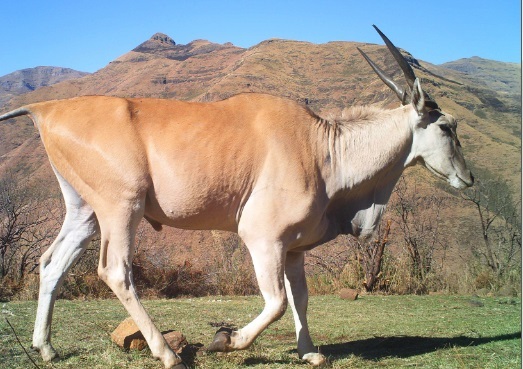 N3 Toll Concession (N3TC), the company that manages the N3 Toll Route between Heidelberg in Gauteng and Cedara in KwaZulu-Natal, is keenly aware of the need to protect the species, our environment and natural heritage as infrastructure development and people continue to encroach on natural habitats. “While our commitment is to invest in the maintenance and expansion of the N3, it is essential that we contribute to the protection of the natural habitats that the route transects,” explains the company’s Commercial Manager, Con Roux. Both the Giants Castle and Cathedral Peak vulture hides were designed by Ezemvelo KZN Wildlife’s Glenn Harboth and constructed by Lawrie Raubenheimer (Heritage Design and Creations). The Giants Castle hide has been modelled on the local rocks and blends in beautifully with its surrounds. “It is hoped that through the investment in vulture hides we can help ensure that these majestic birds continue to grace our skies, playing their crucial role in the Drakensberg ecosystem. The incredible support of funders such as N3TC and the passion of the staff at Ezemvelo KZN Wildlife, bring us closer to realising our goal,” concludes McCann. NB Toll Concession (2014) New Bearded Vulture hide opened at Giants Castle in attempt to limit risk to this critically endangered species. https://pressoffice.mg.co.za/n3tc/PressRelease.php?StoryID=252071. 2014. [29 Sept 2014].